Welcome to Romeo’s Kitchen + Spirits, one of the hardest working kitchens in Kamloops. B.C. 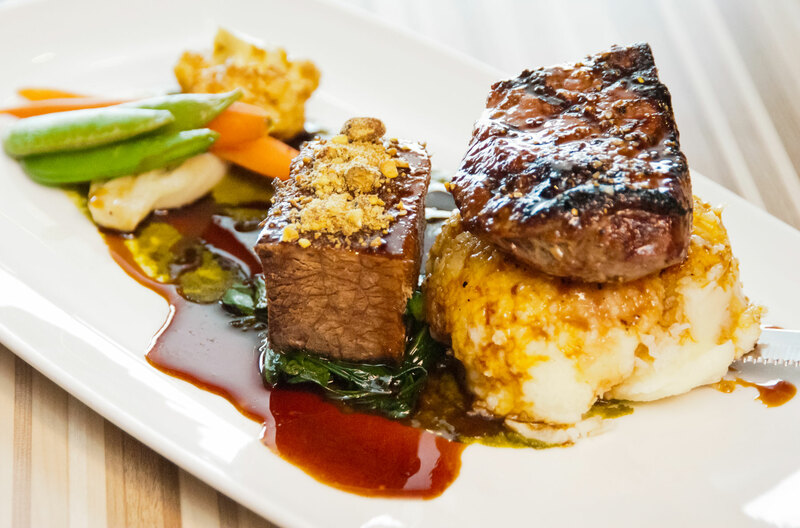 Located inside the Coast Kamloops Hotel & Conference Centre at 1250 Rogers Way, we’ve created a sweet spot for our guests to relax, reconnect with friends, and taste amazing food they’d likely never cook at home. 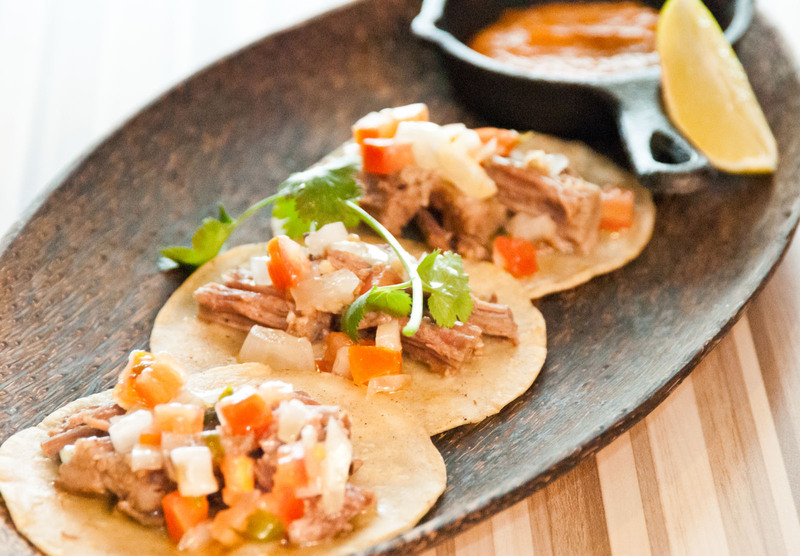 Perfect for breakfast, lunch, and dinner and for socializing after work over a few drinks fireside or on the patio. Chef Romeo knew at an early age that his calling was creating in the kitchen. 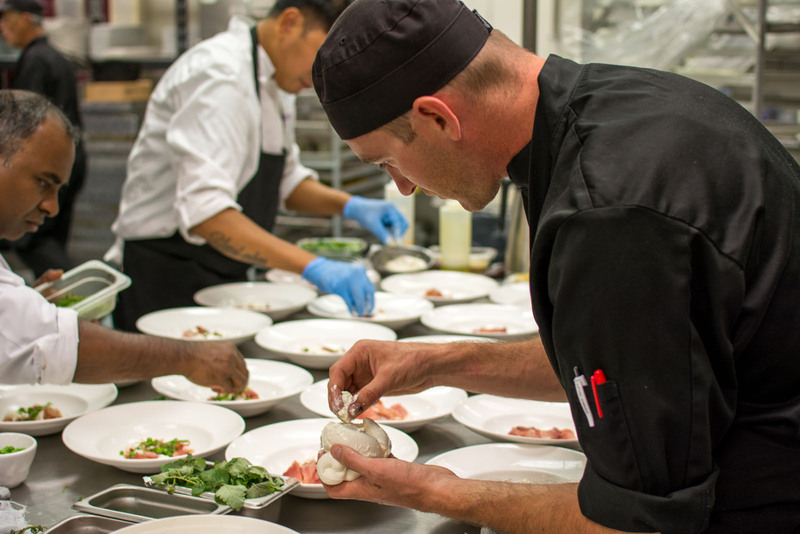 He worked his way up through the kitchen ranks earning his Red Seal Certification, and has received praise and respect along the way. 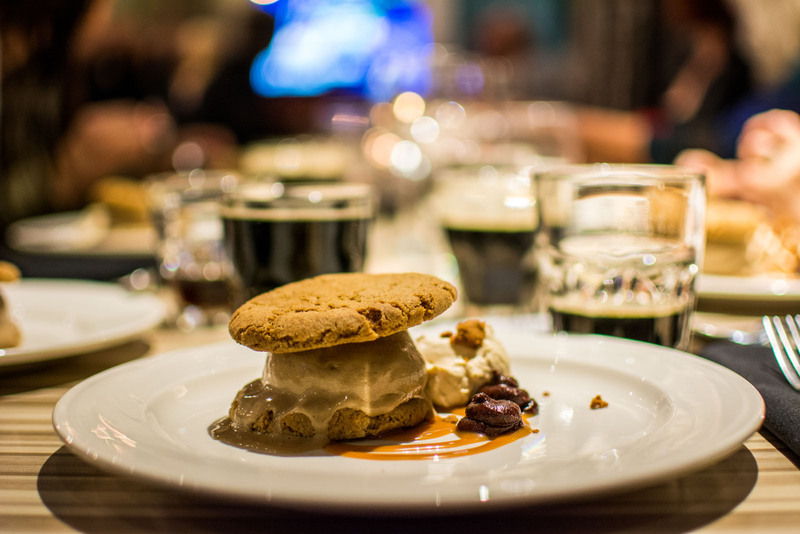 Since arriving in Kamloops from Vancouver, Romeo has received a number of impressive accolades including wins at various Master Chef and Iron Chef competitions and most notably, he was recently featured on The Food Network’s inaugural season of Chopped Canada. His kitchen is one of the hardest working kitchens in the city and along with this team, he continues to carve out a name for himself delighting guests with his exquisite techniques and unique culinary flare. 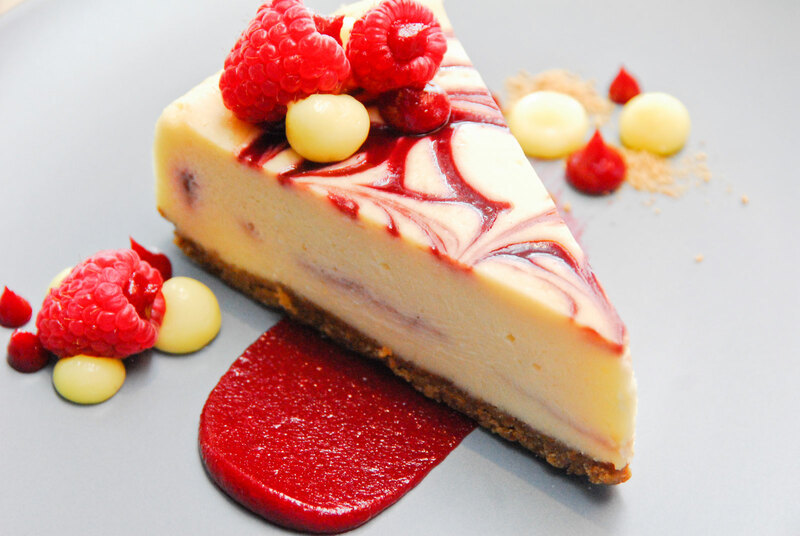 Fresh, Ever Changing Menus: every 2 - 3 months, Chef Romeo creates a seasonal feature menu offering a variety of locally sourced items that are unique to the season, guaranteed to be fresh and exciting! We know you’ll have your favourites on the menu, but we keep adding new specials we think you’ll want to try. Join us for our amazing Easter Brunch Buffet on April 21st. Check out the many delicious brunch options like chef-carved beef, turkey AND ham, crab legs, omlette station, breakfast sides, and much much more! Reservations offered for a one-time seating at 11:00AM. For groups of 5 or less, please either visit the restaurant on www.opentable.ca, or call 250-372-5312 to reserve your space. If you have 6 or more guests in your party, please visit www.eventbrite.ca to purchase your tickets for your table in the Ballroom. Don’t forget that the Easter Bunny will be making an appearance, so join us for goodies and fun with a scavenger hunt and egg decorating! 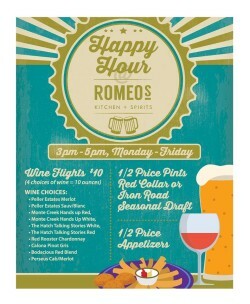 ROMEOs Kitchen + Spirits is happy to introduce Happy Hour! Join us 5 days a week for half-price appetizers and drink specials! How about on Mother’s Day we spend some extra time with our moms. We believe there is no better way to do so than enjoying an amazing buffet breakfast that you don’t have to cook! Come join the ROMEOs family on Sunday May 12th to help celebrate this special day. Let us spoil all the mothers and their families with a delicious spread featuring: omelette station, waffles, bacon, sausage, carved beef, turkey and ham, seafood bar, prawns, crab legs, fresh fruit, desserts and more! There will also be a gift for all those moms in attendance to show our appreciation of all their hard work and to thank them for their time. For groups of 1-5, please call 250-372-5312 or visit www.opentable.com to reserve your table in the Restaurant. Groups of 6 or more can visit www.eventbrite.ca to purchase your tickets for seating in the Ballroom. Choose any 4 of our draft beers to sample for $8. Try 3 of our premium gins with seasonal garnish $8. Jugs of Red, White or Rose Sangria $17. Local House Wine 9 ounces for the price of 6 ounces. $10 local cheese board. 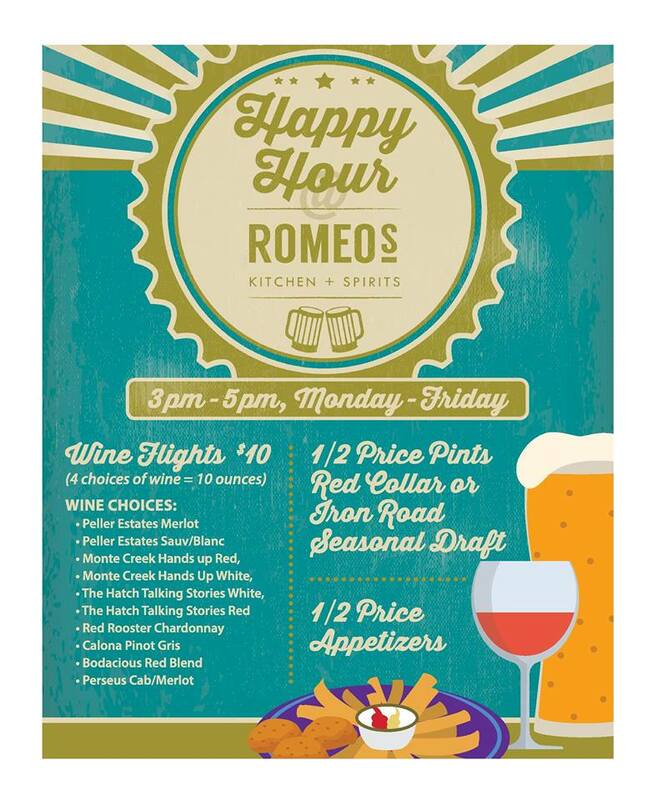 Romeo’s is hiring, and this is the time to get on board and play a role in our story.